Paragon ID, the leading provider of identification solutions for transport, e-ID, traceability and brand protection, has secured a new contract to manufacture Oyster Cards for Transport for London (TfL), the government body responsible for the transport system in Greater London. The contract, worth £2.2 million, will see the business continue to produce the iconic smart cards throughout 2018. 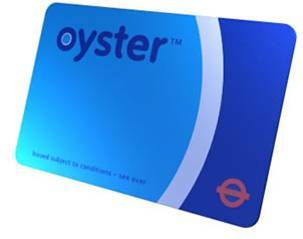 Oyster cards are rechargeable smart cards used to easily pay for journeys on bus, tube, tram, DLR, London Overground, TfL rail, river bus and most National Rail services throughout the City. Millions of journeys are made daily using the Oyster Card, making it one of the preferred options for anyone wishing to access public transport in the capital. We are one of the few ITSO certified smart ticketing specialists in the country with manufacturing facilities in the UK and across Europe. Working in partnership with transport operators, we are able to assist with the gradual migration from traditional paper-based tickets to RFID enabled smart products such as smart tickets, smart cards or Host Card Emulation (HCE) solutions for smartphone-based ticketing.